Gavin O’Connor was a standout player and three-year letter winner at the University of Pennsylvania. Each of the three seasons O’Connor played varsity ended with the Quakers capturing the Ivy League title, including the 1985 team where he went on to earn First Team All-Ivy, First Team All-East and Third Team All-American honors. An outside linebacker with a knack for running down the quarterback, he racked up 9.5 sacks during the 1985 school year, then a Penn record; he also formerly held the career sacks record. After graduating, he moved to New York where he began his career writing films and plays. O’Connor first garnered attention when he co-wrote, produced and directed the break-out indie hit “Tumbleweeds,” starring Janet McTeer and Kimberly Brown. The mother-daughter road drama brought O’Connor the Filmmaker’s Award at the 1999 Sundance Film Festival, and went on to earn critical acclaim. In addition, McTeer earned several Best Actress honors for her performance, including Oscar and Independent Spirit Award nominations and a Golden Globe Award, while Brown won an Independent Spirit Award for Best Supporting Actress. O’Connor’s next directing effort was the widely acclaimed 2004 hit “Miracle.” The film, starring Kurt Russell, told the inspiring story of the U.S. Hockey Team’s Gold Medal triumph at the 1980 Winter Olympics, including a stunning victory over the seemingly invincible Russian team. 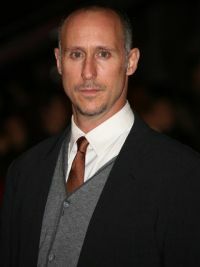 In 2008 O'Connor co-wrote, produced and directed the drama “Pride and Glory,” starring Edward Norton, Colin Farrell, Noah Emmerich, and Jon Voight. The film follows a multi-generational police family whose moral code is tested when one son investigates an incendiary case of corruption and murder that involves his brother and brother-in-law, forcing the family to choose between their loyalties to one another and their loyalties to the department. In 2010, O’Connor co-wrote, produced and directed the acclaimed film “Warrior,” starring Tom Hardy, Joel Edgerton and Nick Nolte. “Warrior” is the story of two estranged brothers whose pasts collide in an elite Mixed Martial Arts tournament. “Warrior” received great critical praise for O’Connor and its cast. Nolte’s performance earned him Academy Award, Screen Actors Guild Award, Golden Globe Award and Critics’ Choice Award nominations, as well as the 2011 San Diego Film Critics Society Award for Best Supporting Actor, among other honors. Turning his attention to the small screen, in 2013, O’Connor directed the pilot of the award-winning television series “The Americans,” which stars Keri Russell, Matthew Rhys, and Noah Emmerich. He also served as an executive producer on the show’s first season. In 2016, O’Connor went on to helm the box office hit “The Accountant,” starring Ben Affleck, Anna Kendrick and JK Simmons. The film tells the story of a high-functioning autistic math wizard who applies his numerical gifts as a forensic accountant to a global network of criminal operatives. In 2018, O’Connor has reteamed with Ben Affleck and Warner Bros on the sports drama "Torrance," which he’s in pre-production on now. The story centers on a former basketball all-star who has lost his wife and family foundation in a struggle with addiction. He attempts to regain his soul and salvation by becoming the coach of a disparate, ethnically mixed high school basketball team at his alma mater. Following that, O’Connor is slated to direct "Suicide Squad 2," which he co-wrote, starring Will Smith, Margot Robbie and Viola Davis. Gavin lives in Los Angeles with his wife Brooke, with whom he has three daughters: Madison, a freshman volleyball player at Wake Forest University, Bronwen, a junior and blooming writer and artist at Sequoyah High School, and Declan, his 2-year old little late miracle.